Have you ever planned to start a new project and then proceeded to spend what seemed like hours just staring at a blank slide? Or maybe you’ve started to design something, only to decide halfway through that it was totally wrong. You’re not alone! 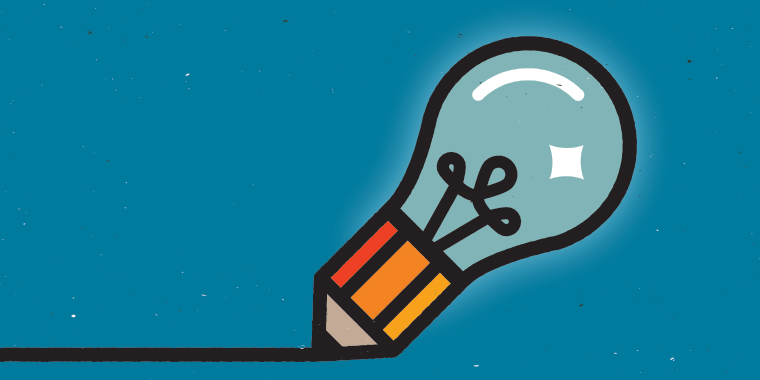 As community members Katie Lowden Bahr and Donna Carter point out in this discussion, inspiration can elude even the best instructional designers. Maybe the course topic is less than thrilling, or maybe you’re just having an off day; whatever the reason, don’t get yourself down. There are plenty of resources available to help you get back on the road to inspiration. Let’s take a look at a couple of my favorites. 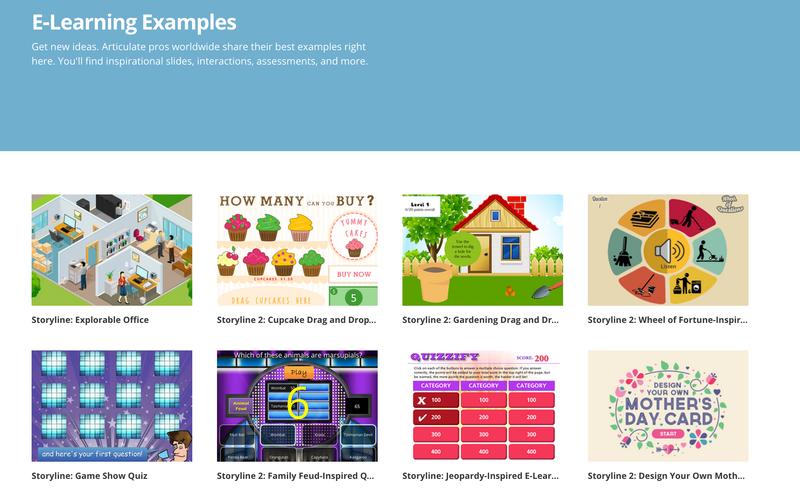 The e-learning examples hub on ELH is a curated selection of demos created by both community members and staff. It’s easy to browse thanks to the thumbnail images and descriptive titles. 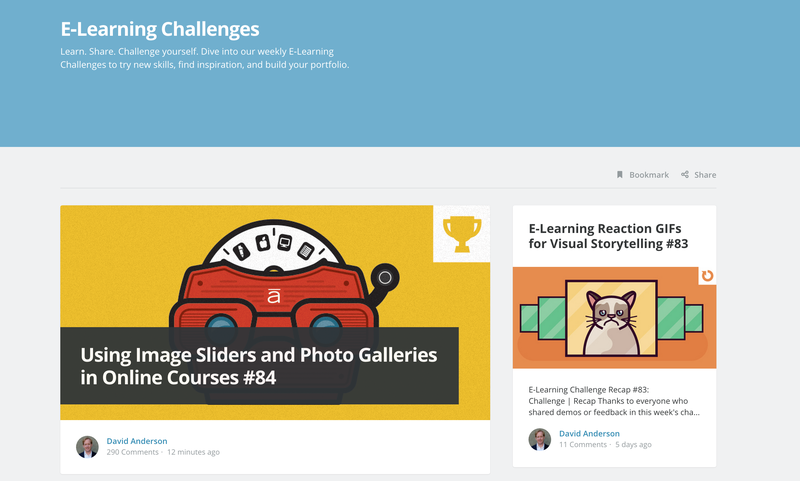 The weekly challenges led by my co-worker David Anderson are a great source of inspiration. You’ll find a wealth of demos created by members of the community on a wide variety of topics. I recommend bookmarking the link to the full list of challenges for quick access to this endless source of e-learning inspiration. 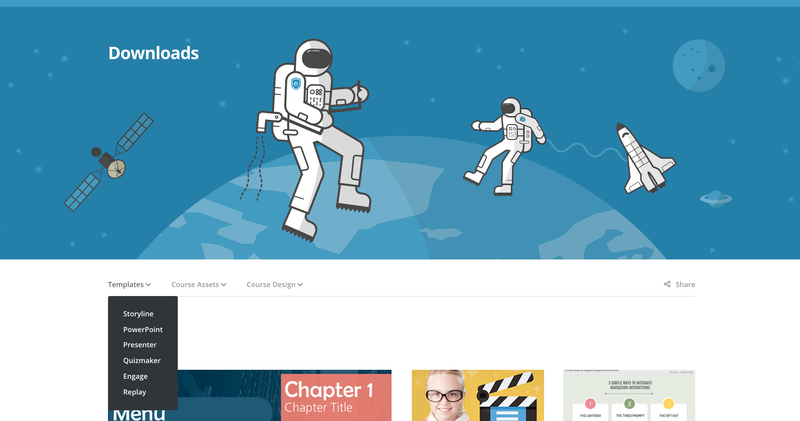 The downloads section of E-Learning Heroes is so much more than just a place to download templates. Think of it as a showcase for different design aesthetics. Maybe you like the look and feel of a certain template, but your course doesn’t need a timeline interaction. No matter! Steal that style and make it your own. And don’t stop at page one of the downloads hub. There are tons of gems hidden in the different categories! Take a moment to browse around and I’m sure you’ll find something you can use as a starting point or an inspiration. Have you noticed that every week on E-Learning Heroes, there is an article with a bunch of free downloads or e-learning examples? We call these our weekly round-ups. What’s so great about these round-ups? 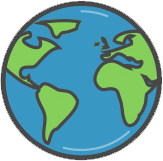 Each one is centered around a theme, making it easy to find a bunch of downloads or examples on any given topic. And now you can find all of these round-ups in the same spot, by bookmarking this article series. If you haven’t been bit by the Pinterest bug yet, chances are you’ve either been living under a rock or you’re consciously avoiding it because you know you’d spend way too much time on it. And you will. But it’s alright if it’s work-related, right? So next time you’re feeling like your design is a bit subpar, try doing a keyword search on Pinterest. Or check out one of the many Articulate boards. You won’t be sorry. If you’ve tried all of the above and you’re still stuck, try stepping away from the computer and going for a walk. You’d be surprised at how much good a 15-minute break can do you! And you never know what you’ll find along the way. A billboard? A road sign? You’d be surprised at what can get those wheels turning. I personally feel pretty inspired when riding the subway. Where else can you find such an eclectic group of people? I glean inspiration from the color of their clothes, the style of their bags, the things they say, and the general vibe I get from them. Having trouble coming up with ideas for learning exercises or activities? Treat yourself to a movie or check out a game store. There’s no telling what you might see that will apply to your course. Another great place to go for inspiration? Bookstores. Just walk through the aisles and pick up any book that grabs your attention. Study the cover. What drew you to that book in particular? The colors? The font? The title? Apply these same principles to your e-learning course design, and you’ll be engaging your learners in no time. What about you? What do you do when you’re short on ideas? Share your tips in the comments section. And don’t forget to follow us on Twitter and come back to E-Learning Heroes regularly for more helpful advice on everything related to e-learning. I didn't realize Articulate had a Pinterest board! Thanks for sharing! I am now in love with their Pinterest board. Thank you!